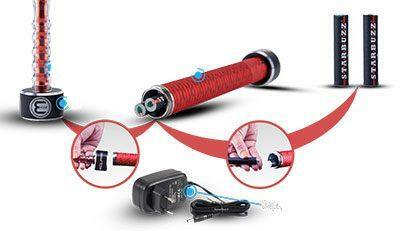 Harmful or not electronic hookah? Not so long ago in the news disturbance the bill to ban electronic cigarettes and hookahs, is approved by the city Council. What is it and why harmless VAPI, as it is called in the English style, electronic hookahs, were subjected to legal restriction? Are they harmful for the body or they began seriously to interfere with cigarette monopolies? Electronic hookahs, or «weepy» (from the English. «VAPE» — pairs), invented and patented in 2003 by Chinese pharmacist. From the very beginning until today, this invention continues to be a serious alternative to the classic Smoking with its heavy metals in the composition and acrid suffocating smoke. The device also has a taste for fans of the classic hookah – e-vaping though and not completely replaces the cumbersome structure, yet such a compact thing you can always take with you to smoke at any time. The supposed dangers of e-hookahs can be unpredictable effects that have on the body of dubious quality flavors, not passing the corresponding test quality. Base synthetic flavors for continuous inhalation can lead to asthma, allergies and even cancer cells. The simplicity of the recipe liquids for wapow and simple composition played a bad joke with the fashion thing – immediately there was mass fraud defective products under the label of promoted firms. All this has led to numerous complaints about the products and the unpredictable effects of its use from the unpleasant taste and chemical smell before the explosion of the product from part liquid glycerin. In November 2016, the state Duma in the first reading passed a law that impose excise taxes disposable electronic cigarettes-nicotine liquid. In December, the Ministry of health announced that soon will appear in Russia, the legislation limiting the sale of electronic cigarettes by analogy with the usual. In February 2017, the initiative was supported by deputies of Moscow city Council, proposing at the same time, prohibit the advertising of evaporating mixtures and devices. trains middle and long distance. But while it only the bill. Legislators also noted that playful form fit and a variety of flavors with caramel, chocolate and fruit make the product interesting for children, lowering, thus, the age of onset of Smoking, as long as the society is not a mental ban on Smoking electronic hookah. Propylene glycol is a permitted food additive and medical the drug, which has disinfecting effect. Absolutely safe for the body, used as a substitute for blood plasma when a large blood loss. Glycerin is also a food additive, used in confectionery industry, as the Foundation creams and other cosmetics. Has a dehydrating effect. Remember that the flavours can also be of different quality and it is better to choose natural – they are, as opposed to artificial, is much less likely to cause allergies. Of course, e-hookah without nicotine is the most harmless self-indulgence, which in the case of quality ingredients that will not bring any harm (of course, at a reasonable dosage). Nevertheless, there are cartridges for electronic hookah and cigarettes, which contain nicotine – in this case, the harm and addiction in one way or another are formed, and their intensity depends on the quality of the components – after all, nicotine is different, too. 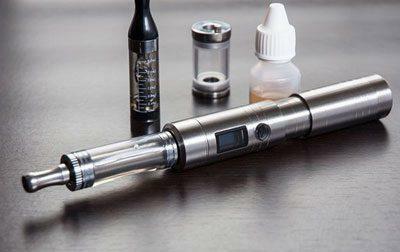 Electronic cigarettes, unlike Shisha, less effective and do not produce vapors of smoke, but can also be a substitute for usual cigarettes in cases when it is necessary. The harm of electronic cigarettes and hookahs is mainly in the presence of nicotine. However, they pose less harm than conventional cigarettes, as it is limited in its composition more safe for health ingredients. Electronic cigarette – an earlier invention that was not originally carrying the aesthetic effect was the inhalation method steam – with or without flavor and with nicotine or without – when necessary. In the future, the electronic cigarette has evolved into an electronic hookah, and a whole subculture of «vapers» as they call themselves, which regarded his passion as the expression. So the question is more harmful than hookah or electronic cigarette is no single answer. In fact, it is identical to the fixtures created for the same purposes and with the same principle as electric heating a liquid prepared in the tape evaporates, which leads to the formation of steam. For smokers today have a great opportunity to get rid of the habit with the help of devices that mimic Smoking what are electronic hookahs. To do this, first you can go to vaping nicotine and then gradually reduce the amount of nicotine, thus removing the element, addictive. At the same time, tactile, behavioral, and psychological addiction, and this does not is suppressed. It will be easier to completely abandon habits, learning to have fun without the aid of tools. If such habit is not to start Smoking even such a harmless and stylish product, such as Weipa, still not worth it.